^ John Travolta Biography (1954-). FilmReference.com （英语）. ^ Garth Pearce. On the move: John Travolta. The Sunday Times. 2007-07-15 （英语）. 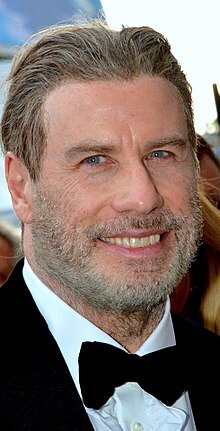 ^ JOHN TRAVOLTA biography. Lifetime （英语）. ^ Gaynor Flynn. The resurrection man. The Sydney Morning Herald. 2010-02-28 （英语）. ^ Kaleem aftab. John Travolta interview: Star talks new film The Forger and dealing with the loss of his son. The Independent. 2014-10-03 （英语）. ^ John Travolta. Internet Movie Database. [September 22, 2012].